Be pampered and loved during this special day. Dinner at CUT Doha is the perfect way to say I love you. Indulge with your loved one into a special 4-course set menu for 375 QAR per person. Let us spoil you with live entertainment and roses for her! 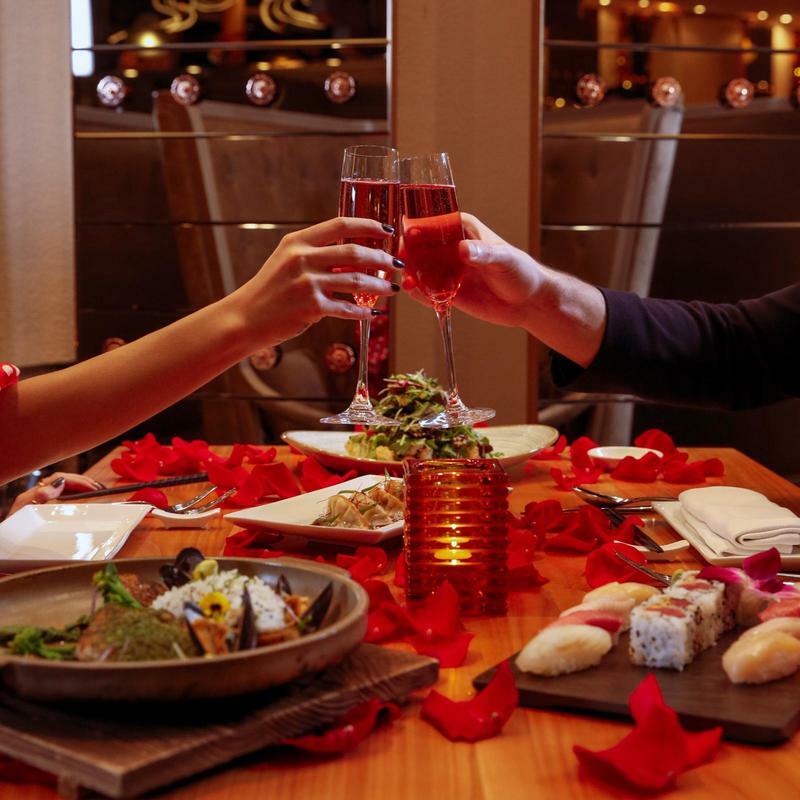 Celebrate the season of love Japanese-style with Morimoto Doha. Receive a welcome drink, an amuse-bouche and a petit four whilst the live entertainment sets the mood for an unforgettable night! Come and celebrate Valentine’s day at our private cabanas, enjoy delicious family style set menu and a shisha for 1500 QAR. Let our cozy set-up set the romantic mode. For the month of February, book the Spa VIP Private Suite Package as a couple and we will decorate it will petals, balloons and candles for free!